As Christmas is rapidly approaching at lightning fast speed, I thought I would share with you a few of my very favorite gifts I enjoy giving as well as receiving! My mother in law gave one of these to each of us girls a couple of years ago, and it has been one of my most favorite gifts in my stocking! It has gotten me out of a jam on several occasions. this is all I have left in my kit! I need to head over to their site for some refills! This fantastic little pouch packs a lot! You can choose from seven different colors on their website. I've also seen these locally at boutiques and specialty shops, so check there as well if you're worried about shipping costs or time. Hairspray, Clear Nail Polish, Nail Polish Remover, Emery Board, Lip Balm, Earring Backs, Clear Elastics, Sewing Kit, Double-Sided Tape, Stain Remover, Deodorant Towelette, Pain Reliever, Tampon, Breath Freshener, Dental Floss, and Adhesive Bandages! You can even purchase refills from their site when you use up an item. Check out their kits for guys as well! You can find them on the web here. 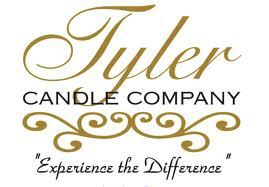 Tyler Candle Co. is another favorite. The packaging and candle jars are so adorable and fun to give. FourSevenGlam...and my very favorite for this time of year, Snickerdoodle! If you want the scent of fresh baked cookies in your home without the work, this is the one for you! These candles burn evenly, so you don't end up with half of the candle still in the jar by the time the wicks have burned, which I also love. 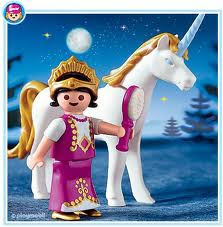 For the kiddos, I am a huge fan of Playmobil toys. the award for 2010 Exceptional Entertainment and Educational Value. They are such high quality and imaginative toys. The detail that the manufacturer puts into them always is so intriguing and fun. You can get little starter packs that start under $6 or go with one of the larger sets which generally are around $100; either way you won't be disappointed. We have several pieces, each one is truly amazing. 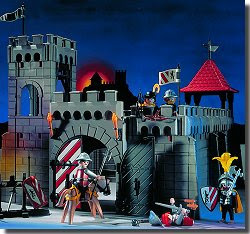 From the Spy Set that has an alarm on the jewel case to alert the security guards, or the Wedding Set with a white grand piano that plays three songs, the medieval cannons that shoot plastic boulders....you will love playing with your kids and these toys! You can find Playmobil products at Target, Toys R Us, specialty toy shops (larger selections there) or go to the Playmobil USA site. How can you not get in the teensiest bit of vacation mode when you smell this? I will say it again, YUM! 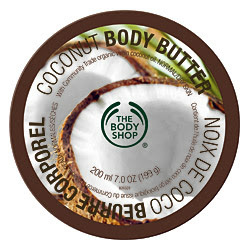 A rich body butter that is great in the middle of winter or the middle of summer. I have this on my night stand and use it every night on my hands. In the summer, I like to use it on my legs and shoulders for a little bit of glow- and the light coconut scent makes me feel like I've been to the beach even if I just got back from the grocery store. The large tub lasts a long time and is $20. You can find it at your local Body Shop or online. There you have it! My four favorite gifts to give and to get! Hope your Christmas shopping ideas just got a boost! I like your faves! I'm a candle girl... they burn all year. I'll have to check out the Tyler Candle Company. Trapp Candles are high up there on my list. LOVE the list! I'm always looking for great gifts for my SILs! Girl, You are so hard to get a hold of.....Whew. You won the Pottery Barn Giveaway!!! Email me sweets. Have a Fabulous day!